COFFIN, NATHANIEL, surveyor, politician, jp, office holder, and militia officer; b. 20 Feb. 1766 in Boston, fifth son of John Coffin* and Isabella Child; brother of Thomas; d. 12 Aug. 1846 in Toronto, apparently unmarried. Nathaniel Coffin left Boston in the summer of 1775 when his family fled that place for Quebec. He was commissioned an ensign in the 40th Foot on 21 March 1783, but did not join the regiment until after it had left Staten Island (New York City) for England in November. On 11 Jan. 1786 he exchanged to half pay, perhaps because of a breach of discipline committed in Ireland. Coffin then returned to Quebec, where he was appointed a surveyor on 19 July 1790. Over the next few years he worked in various parts of the province, particularly along the Rivière Bécancour and in the Portneuf region. In 1793 he joined William Vondenvelden*, Jesse Pennoyer*, and others to organize the masonic lodge Select Surveyors No.9. The following year Coffin and his father were founding members of an association dedicated to upholding the government in Lower Canada. Between 1795 and 1802 Coffin was active in the area around Missisquoi Bay, and he was a member of the committee formed by Pennoyer, Samuel Willard*, and others to press the government to speed the processing of applications for land. Coffin’s involvement in the region’s affairs was reflected in his election from Bedford County to the House of Assembly in July 1796, but he was not conspicuous during his four years in the house. On 14 Dec. 1796 he was commissioned a jp for the district of Montreal, a post he held until around 1810. Coffin was employed by Governor Robert Prescott* in 1797 to collect witnesses for the prosecution in the trial for treason of David McLane*. On 31 Aug. 1802 Coffin was among those granted 1,200 acres in the newly established township of Compton, where he had already made a start at settling. Over the next decade his whereabouts are largely unknown. He appears to have been in Quebec in July 1812 when he was appointed provincial aide-de-camp to his brother-in-law Major-General Roger Hale Sheaffe*. 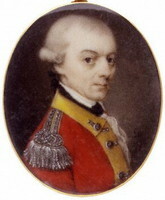 For his service with Sheaffe at Queenston Heights he was mentioned in dispatches, and he was with him in the battle at York (Toronto) in April 1813. 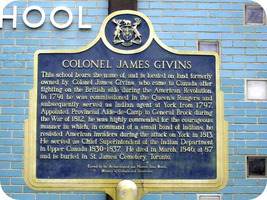 Coffin was appointed deputy adjutant general of the Upper Canadian militia in January 1814. As such, he looked after administration from the department’s office in Kingston while the adjutant general, Colley Lyons Lucas Foster, moved with the army headquarters. On 25 March 1815 Coffin was made adjutant general, the only militia officer retained in full-time service after the war. 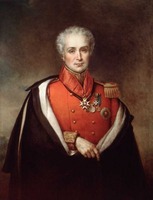 He kept his rank of lieutenant-colonel, which he had received in October 1812, and was promoted colonel in 1820. In 1816 the business of the general board of militia claims, which dealt with back pay for the wartime militia, was transferred to the adjutant general’s office. Accounting for pay claims and preparing payment necessitated Coffin’s presence in Quebec for the first six months of 1818, and payment itself occupied much of his time over the next several years. Not until about 1821 was this duty being displaced by the problems attendant on the formation of new units and the issuing of equipment. After the war Coffin fell increasingly into disfavour with the reform-minded House of Assembly. 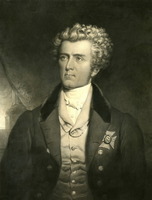 There were objections in 1818 to his hiring a clerk, and an act authorizing part of the adjutant general’s allowances, which lapsed in 1820, was not renewed until 1822, and then only after considerable pressure from Coffin and Lieutenant Governor Sir Peregrine Maitland*. Although in 1821 a committee of the assembly investigated the duties of the adjutant general and recommended a larger staff, the necessary funds were not voted. In 1823 an assistant adjutant general, James FitzGibbon*, was appointed, but contingency funds allowing Coffin to travel were insufficient. 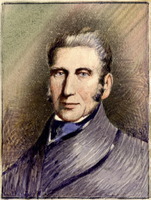 Further financial restraints imposed in May 1825 meant that the department could not even pay its own postage, and FitzGibbon resigned in 1827 when the assembly reduced his pay. These difficulties were not eased by Coffin’s long-running quarrel with the assemblyman François Baby* concerning the amount of land due to Baby for his services as a militia officer during the War of 1812. Coffin’s problems with the house culminated in March 1828, when he and the superintendent of Indian affairs, James Givins, were summoned to appear before a select committee investigating a dispute over government land involving William Forsyth. They were refused permission to attend by Maitland, and the reform element had them jailed for contempt until the end of the session a few days later. Between 1833 and 1836 Coffin was increasingly involved in the affairs of the 1st Northumberland Regiment, whose commanding officer, John Covert, was attempting to block the activities and promotions of some of his officers because he disagreed with their political views. When Covert’s behaviour finally resulted in his court martial, he blamed Coffin for having let the case go that far. Old and sick by the 1830s, Coffin applied for retirement. Although a bill providing him with a pension and making other changes in his department was passed in the assembly, it failed in the Legislative Council. Coffin was still adjutant general on the eve of the rebellion of 1837, but his assistant, Walter O’Hara*, was doing the work, and much was left undone. When revolt broke out, Lieutenant Governor Sir Francis Bond Head* replaced Coffin with FitzGibbon. Nathaniel Coffin did not begin his militia career until he was well into middle age. He received his appointment in 1812 because of a family tie, and had little experience of leading troops in action. 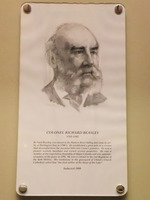 Consequently he appears not to have been held in very high regard as head of the Upper Canadian militia in the post-war years, whatever his merits as an administrator. He was the senior staff officer during a period of great growth for the militia, when new units were organized throughout the province as a result of the influx of settlers. However, these units were never more than nominal, being for the most part unequipped and seldom mustered. PAC, MG 30, D1, 8 ; RG 1, L6B, 1 ; RG 8, I (C ser. ), 273: 138–39 ; 677: 8–9, 140 ; 678: 174–77 ; 704: 126, 246–49 ; 1168: 220 ; RG 9, 1, 131, 3: 14 ; 42: 11–14 ; 43 ; 47–50 ; 52–53. Édouard Fabre Surveyer, “Nathaniel Coffin (1766–1846),” RSC Trans., 3rd ser., 42 (1948), sect.ii: 59–71. O. A. Cooke, “COFFIN, NATHANIEL,” in Dictionary of Canadian Biography, vol. 7, University of Toronto/Université Laval, 2003–, accessed April 20, 2019, http://www.biographi.ca/en/bio/coffin_nathaniel_7E.html.